English amateur golfer Roger H. Wethered was born in Surrey on 3 January 1899. He was probably Britain’s best golfer in the 1920’s and was a leading figure in an important period in the development of the sport across the world. He was the only son of Herbert Newton Wethered and Marion Emmeline Lund. H. Newton Wethered, a low handicap golfer, wrote a number of famous golf books including ‘The Architectural Side of Golf’ (1929, with Tom Simpson) and ‘The Perfect Golfer’ (1933). Roger was also the elder brother of Joyce Wethered (Lady Heathcoat-Amory following her marriage), who was born on 17th November 1901. Joyce was the finest female golfer of the 1920s and 1930s and one of the greatest of all time. The family benefited from inherited wealth up until the Wall Street Crash in 1929 and clearly enjoyed a very comfortable lifestyle. Both Roger and Joyce were home tutored and enjoyed what can only be described as a flexible education. Roger quickly got the golf bug from his father. He joined West Surrey Golf Club as a boy and the family played golf on holiday at Bude in Cornwall and Royal Dornoch in the Scottish Highlands. He recorded all of his rounds and strove for improvement from an early age. It is said that after a game Roger would often resort to the library to try and answer and understand a technical problem he had encountered. In later years, typically for an old school amateur, it was said that he often preferred to theorise rather than practice his golf. In early 1917 Roger followed his father to Oxford University where he enrolled at Christ Church College to read English. World War I intervened in his studies and he served as a Second Lieutenant in France and Belgium. He finally completed his studies in 1921, albeit only formally received his BA when he finally attended a degree ceremony in 1963. In an era when the amateur game was at the forefront of golf and the sport was the preserve of the wealthy Roger unsurprisingly found himself mixing amongst the best young players at Oxford. Wethered found himself spurred on by such competition, which included Cyril Tolley, and both of them soon became two of Britain’s leading players. Wethered was a tall, powerful man whose strength was his mid-iron play and short game. Roger Wethered, representing West Surrey Golf Club, entered his first Amateur Championship at Muirfield in 1920. It was the first one since 1914 due to The Great War. Save for 1935 he played in The Amateur every year up until 1936 (which he presumably couldn’t resist as it was played at St. Andrews) when he stopped competing. Between 1921 and 1929 inclusive all of his entries were attributed to Worplesdon Golf Club, the club he and his sister were both associated for most of their golfing lives. After 1930 he represented the Royal & Ancient Golf Club when playing in The Amateur. In 1921 Roger Wethered, perhaps having recently become a member at 22 repesenting The Royal & Ancient Golf Club (R&A), played in his first Open Championship at St. Andrews. Despite incurring a penalty shot for standing on his ball in the third round Wethered and Jock Hutchinson, a Scottish-born American, ended up tied on 296 after 72-holes. Roger had committed to play in a cricket match the following day in London and therefore found himself compromised with regard to the 36-hole play-off. It is said that R&A officials had to work hard to persuade him to compete in the play-off. In the end Hutchinson won the play-off easily by 9-shots, his rounds of 74 and 76 (150) beating Wethered’s 77 and 82 (159). Had Wethered won The Open in 1921 he would have been the last British amateur to do so. As it is Harold Hilton, who won the Championship in 1897, remains the last man to do so. Perhaps highlighting the standing of The Open in the 1920’s Wethered only played in three more Championships during his career, finishing tied 32nd in 1922 (Royal St. George’s) and missing the cut in both 1924 (Hoylake) and 1928 (Royal St. George’s). Roger Wethered’s greatest moment came in 1923 when he won the Amateur Championship at Deal, Kent. Wethered beat Francis Ouimet, who had taken care of Cyril Tolley in the quarters, in the Semi-Final before beating Robert Harris in the Final 7&6. Harris had no complaints: “I couldn’t have beaten him. He was too powerful from the tee and too good on the putting green.” With his driver behaving better than normal this was most likely the best he ever played. He also reached the final of the Amateur in 1928 at Prestwick and in 1930 at St. Andrews. In 1928 he lost 6&4 to T. Philip Perkins of Castle Bromwich GC. In 1930 – with both having just captained their respective Walker Cup teams – he lost 7&6 to Bobby Jones who thus completed the first leg of his famous ‘Impregnable Quadrilateral’ (Grand Slam). Roger also reached the semi-finals in 1924 at St. Andrews (where he lost to Edward Storey of Cambridge University by 2 holes) and 1927 at Hoylake (where he lost to the champion Dr. William Tweddell of Stourbridge GC by 4&3) and the quarter-finals in 1922. His overall Amateur record is amongst the best in the Championship’s history. Ranked 9th Roger competed in 16 Amateurs playing 71 matches – he won 56 and lost 15, giving him a win percentage of 79%. Looking only at golfers who have played at least this number of matches his record is only really surpassed by John Ball, Joe Carr and Sir Michael Bonallack, all amateur greats. Wethered played with Colin Aylmer in the Day 1 foursomes and they beat Charles Evans Jr and Robert A. Gardner by 5&4. In the Day 2 singles Wethered was paired with Bobby Jones and lost 3&2. Wethered and Cyril Tolley lost to Francis Ouimet and Jesse Sweetser 6&5 in the Day 1 foursomes before he halved with Ouimet in the Day 2 singles. Wethered paired with Ernest Holderness to beat Ouimet and Jesse Guilford 5&4 in the Day 1 foursomes and then beat Ouimet again in the singles 5&4. When Wethered, GB&I’s captain, was asked prior to the match why compatriot John Beck was not playing he supposedly replied “We thought of John but no one seemed to have his address.” suggesting a more relaxed selection environment than currently exists. Wethered paired himself with Tolley again this time winning their foursome match against George Von Elm and George Voight by 2 holes. In the singles Wethered was drawn against Bobby Jones, the USA captain. Jones won the match by 9&8. Wethered’s selection for his final Walker Cup match was controversial. Bernard Darwin writing on the matter in 1944 said “It seemed to me – and I was a selector – that so fine a golfer with so fine a record must be played since he loved St. Andrews, would have plenty of room and had a gift of rising to the occasion. Others, not selectors, thought otherwise and I suppose they were right…” Wethered only played in the Day 1 foursomes before standing himself down for the singles. Paired with Tolley again Wethered drove awfully and they easily lost 8&6 to John Goodman and W. Lawson Little. Following the 1930 Walker Cup match and before the Amateur Championship started at St. Andrews a four ball that has gone down in golfing lore took place at the Old Course. Roger Wethered paired with another leading amateur T.A. Bourn took on Bobby Jones and his sister Joyce Wethered. Playing off the same tees the greatest male and female golfers of the day famously won. With the game won Joyce three putted the last two greens to finish one shot higher than her playing partner. In his playing career Roger won many other important amateur events and represented his country throughout the 1920s. Wins included the Royal St. George’s Cup (1924), the Golf Illustrated Gold Vase (1927) and the (Oxford and Cambridge Golfing Society’s) President’s Putter five times (1926T, 1927, 1928, 1935 and 1936). He played for GB&I in the 1921 match against the United States at Hoylake, the precursor to the Walker Cup. He was also capped by England in nine successive years in their annual match against Scotland (1922-30). Roger also won the Worplesdon Mixed Foursomes in 1922 (with Joyce Wethered) and 1926 (with French champion Simone Thion de la Chaume). In 1923 Roger briefly moved into politics taking up an unsalaried position as secretary to the Hon. F.S. Jackson who was the financial secretary to the War Office. Jackson was a former England cricket captain and a scratch golfer. Roger married Elizabeth Cavendish-Bentinck at St. Margaret’s Church in Westminster on 29th April 1925. Elizabeth’s mother’s family owned the City stockbroking firm of Grenfell and Co. Roger joined the business, after unsuccessful spells with two other city firms, and worked at Grenfell for 25 years until his retirement in 1951. Roger and Elizabeth later divorced and Roger re-married; to a Marjorie Stratford (nee Mitford Stubbs). Roger continued to be involved in golf in his later years, playing well into his 70s and administering the game. It was reported in the papers that he shot a 74 when 74 at Royal Wimbledon Golf Club. He held many honorary club memberships. He was elected captain of The Royal and Ancient Golf Club of St Andrews in 1939 but due to the commencement of World War II only took up office in 1946. He was also President of Woking Golf Club from 1961 until his death in 1983. He died on 12th March 1983 at his home Garnet House, Wimbledon. Roger is often remembered in the shadow of his more famous sister. However, upon further inspection of his life he was clearly an important figure in the history of the game and someone who clearly deserves to be remembered in his own right. Joyce Wethered (who following her marriage became Lady Heathcoat-Amory) was unquestionably one of the most successful woman golfers of her day and is still widely considered one of the best the world has ever seen. On the anniversary of her birth, 114 years ago today, I thought I would take a look at her story. She was born in Brook, in south-west Surrey on 17 November 1901. Wethered, whose father was a good player with a handicap of six and whose mother also played, took up the game as youngster during family holidays at Bude, Cornwall and in Dornoch, Scotland, where the family had a house overlooking the course. She simply drifted into the game because that’s what her family did. She started to take a real interest in golf aged 9 and shot an 89 when aged 10. She never went to school so perhaps her home tutoring afforded her some practice flexibility. She joined her local club, West Surrey, which had only opened in 1910, when she turned 12. She made good progress and was 17 when she was first selected for the Surrey Ladies team, by this time playing at Worplesdon with a handicap of 5. Despite only having one formal lesson she developed her game and competitive instinct by copying and playing with her older brother, the 1923 British Amateur Champion and Walker Cup player Roger Wethered, and observing Fred Robson, West Surrey’s Pro. At 5ft 10” she had a graceful, well balanced powerful swing and often hit the ball well over 200 yards, out-driving many of the leading male players of the time. Wethered also had a great mental strength, which she described as a “cocoon of concentration”. Joyce Wethered receives the British Ladies’ Amateur Trophy in 1929. She won the English Women’s Championship on the five occasions she entered it, 1920, ’21, ’22, ’23 and ’24, a run of 33 straight wins in the competition. At the 1920 Championship at Sheringham, in Norfolk, she primarily went to accompany her friend Molly Griffiths. Aged 18 she ended up beating the favourite and holder Cecil Leitch in the Final; it was Leitch’s first loss in a non-handicap match in seven years. Despite at one point being 6-down she finally won on the 17th. As she holed the winning 9 foot putt a train sped past the green. When asked about this later she famously replied: “What train?”. At the time ladies golf was largely social and elite competitions were strictly amateur and few and far between. Joyce only really played in the Surrey Ladies’ Championship beyond the two Majors noted above. She won the inaugural Surrey event in 1921 and went onto win it a further four times, in 1922, ’24, ’29 and ’32. A rare trip to France in 1921 saw her lose the final of their Ladies’ Open Championship 6 & 5 to Cecil Leitch. Wethered also won the British Ladies’ Amateur Championship in 1922, ’24, ’25 and ’29. She lost the 1921 final to Cecil Leith 4 & 3 and fell at the semi-final stage in 1923. Her most satisfying victory came in 1929 when she came out of retirement to play at St. Andrews against America’s finest player Glenna Collett. Wethered had beaten Collett in the 1925 Championship 4 & 3 in an 18 hole match and it was almost inevitable that the two of them would reach the 1929 36 hole Final. Wethered fell behind early on – she was 5 down afer 11 holes – before rallying to win on the 35th hole, 3&1, in front of a crowd estimated at around 3,000. Wethered was persuaded to be playing captain of the Great British Curtis Cup team in the inaugural 1932 match against United States at Wentworth. The US Team were much better prepared, with the GB Team only arriving in Surrey the evening before the match, and won the contest easily 5.5-3.5. For the third and final time Wethered was again paired against Glenna Collett in the singles. Wethered maintained her 100% record winning 6&4 in their 18 hole match. Joyce Wethered is always linked to the Worplesdon Mixed Foursomes competition, played annually since 1921 at the club that she and her brother were attached to for most of their lives. She won the competition eight times in all with seven different male partners. Her successful partners included Bernard Darwin, Cyril Tolley (2) and her brother, Roger. After the Second World War she often played with her husband in the competition. Just a few months after her British Amateur win The Wall Street Crash occurred in late 1929 and her family lost much of their wealth, built up through their ownership of several coal mines. As a result Wethered had little choice but to pitch in. She ended up forfeiting her amateur status in 1933 by joining the golf department at the London department store, Fortnum and Mason. Later the same year she agreed a contract with Spalding to market a range of steel shafted golf clubs in her name. In 1935 she wished to visit friends in America and to help fund the 3 month trip she agreed to play in a number of exhibition matches across North America – these were sponsored by the John Wanamaker Department Store in Philadelphia who also contracted Wethered for marketing purposes. Joyce competed in 52 mixed four ball events with the likes of Bobby Jones, Francis Ouimet, Gene Sarazen, Glenna Collett and Babe Didriksen. Her itinerary included games at Winged Foot, Merion, East Lake, Medinah, Pasatiempo and Pebble Beach. It was reported that she broke 34 women’s course records during these matches. It is also said she cleared $20,000 during the trip, helped in no small part by Fortnum’s agreeing to pay her full salary whilst she was away. She wrote a number of golfing articles and two famous books, ‘Golf From Two Sides’ (with Roger, 1922) and ‘Golfing Memories and Methods’ (1933). The latter a mixed instructional and guarded autobiography. In 1937 she married a baronet, Sir John Heathcoat-Amory and left her parents in Surrey to move to the ancestral home, Knightshayes Court in Tiverton, Devon. They had no children. After World War II she was reinstated as an amateur golfer and continued to play with her husband regularly, often at Tiverton, a club Sir John was instrumental in founding in 1932. He owned the farm land and agreed to let 120 acres for the formation of a golf club. Joyce joined Tiverton in 1937 and succeeded Sir John as Club President in 1973, a position she held until her death in 1997. Tom Hanson, the Assistant Pro at Tiverton, has kindly shared some photos of the commemorative items that adorn the clubhouse. The couple had a shared interest in gardening and took great delight in developing the land around Knightshayes. By way of acknowledgement as to the quality of their work the Royal Horticultural Society awarded the Victoria Medal of Honour to both Sir John and Lady Heathcoat-Amory. When Sir John died in 1972 Knightshayes was handed over to the National Trust. Joyce made numerous donations to the National Trust to support the renovation of the property in the 1970s. There remains a small museum, ‘The Golf Room’, at Knightshayes remembering the famous Lady of the house. The displays contain some superb golfing memorabilia and medals from her career. Sadly there is no putting green or pitch ‘n’ putt in the extensive grounds ! In The Associated Press’s 50-year poll in 1950, Wethered ranked seventh among all golfers and first among female golfers. The men ahead of her were Bobby Jones, Ben Hogan, Walter Hagen, Byron Nelson, Sam Snead and Gene Sarazen. More recently, in 1975, her status in the history of the game was recognised when she was inducted into the World Golf Hall of Fame. In 2004 Basil Tinkler Ashton wrote a well received and long overdue biography entitled ‘Joyce Wethered: The Great Lady of Golf’. Joyce Wethered enjoyed a long life dying on 18 November 1997, just a day after her 96th birthday. Great Britain and Ireland (GB&I) has produced a number of distinguished amateur golfers in the post World War II period. Amongst a group that must include Sir Michael Bonallack, Joe Carr and Gary Wolstenholme comfortably sits Peter McEvoy OBE. One of the most determined, competitive and relentless golfers to ever play the game Peter’s success was founded on long straight driving, well controlled approach shots (often played low) and impeccable putting. A technically sound golfer with an unflappable temperament will give most people a game – and McEvoy was certainly capable of that. Peter McEvoy was born in London on 22nd March 1953. He is 62 today. He was brought up in Renfrewshire, Scotland and swung a club for the first time here with his father, a doctor, and a member of the local club, Gourock, near Greenock. 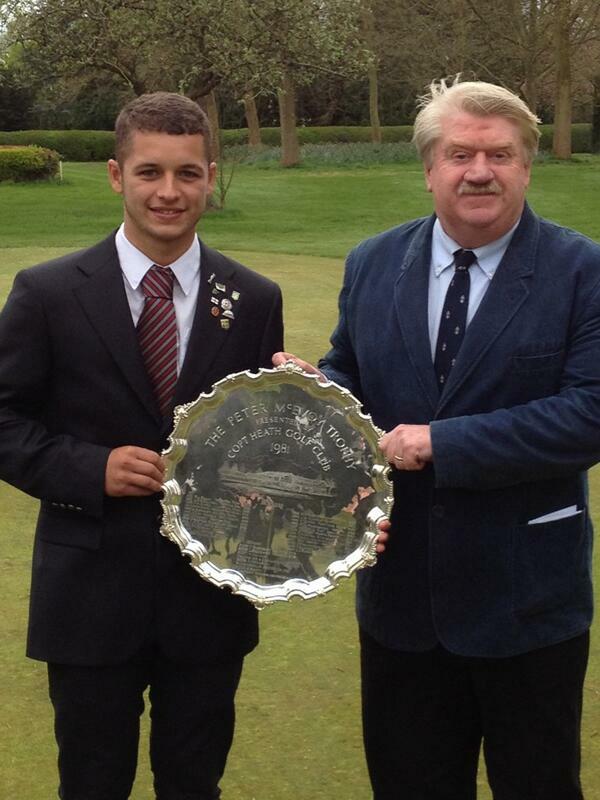 His family moved to the West Midlands when he was 10 and, aged 13, he joined Copt Heath GC near Solihull. He is an honorary member nowadays and despite living near Tewkesbury, Gloucestershire, is a regular player and currently a committee member of the club he has been associated with all of his playing life. Peter quickly became proficient in the game and won the 1969 Warwickshire Boys Championship. He also won the British Universities Stroke Play in 1973 – he studied Law and qualified as a solicitor – and was selected for England Youths in 1974. 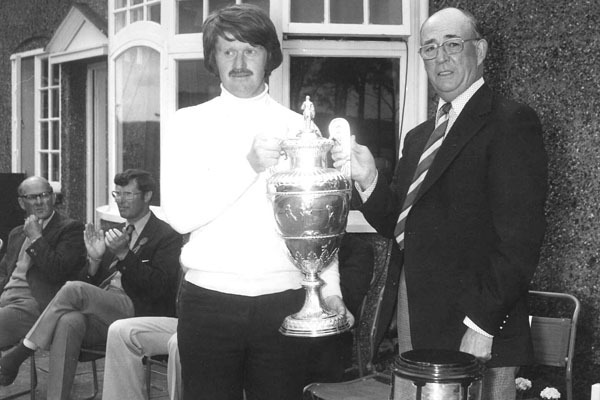 Locally he also went on to win the Warwickshire Amateur Championship in 1974-76-77-80-84, the Warwickshire Matchplay Championship in 1973-75-81-83 and the Warwickshire Open Championship in 1973-74. Warwickshire were also County Champions in 1976 (held locally at Coventry GC) and 1977. Of course it was not in the Midlands that his legendary reputation was developed. McEvoy gained national prominence when he won The Amateur Championship in both 1977 (Ganton) and 1978 (Royal Troon). Playing off a +2 handicap at the time he is the last player to successfully defend the title. Horace Hutchinson (1886-87), Harold Hilton (1900-01) Lawson Little (1934-35) and Sir Michael Bonallack (1968-69-70) are the only other players to achieve this feat. He reached the final again in 1987 at Prestwick – driven on by his non-selection for that year’s Walker Cup at Sunningdale when the team was announced in November 1986 and the matched played in late May – but lost to Welshman Paul Mayo. In total he competed in 18 Amateur Championships playing 70 matches. He won 54 and lost 16 of these giving him an impressive win rate of 77%. He was a member of the Great Britain & Ireland (GB&I) Walker Cup team on five occasions – in 1977-79-81-85-89. With business commitments impacting on the amount of golf he was able to play he missed out on the 1983 match. McEvoy understood this decision but not his, and for that matter Garth McGimpsey’s, omission in 1987, just after they had both represented GB&I in the 4-man 1986 Eisenhower Trophy team. He would be the first to admit in later years that he was delighted to see the team get thrashed 16.5 – 7.5. His first four Walker Cup matches were lost but the last one, at Peachtree, Atlanta, was won; the first time GB&I had won this historically one-sided contest on US soil. McEvoy contributed 2.5 points in that final game but his overall record was perhaps a little disappointing. He played 18 games in total, winning 5, losing 11 and halving 2. To date only Sir Michael Bonallack (25), Joe Carr (20) and Gary Wolstenholme (19) have played more Walker Cup games for GB&I. He played in the St. Andrews Trophy for GB&I against the Continent of Europe in 1978-80-86-88. GB&I won on each occasion in what was then an event as one-sided as The Walker Cup. Peter also played on five Eisenhower Trophy teams – in 1978-80-84-86-88. In 1988, aged 35, and a year after he hadn’t been selected for The Walker Cup he won the World Amateur Individual event and GB&I won the team event for the third time at Ullva, Sweden. His Amateur wins inevitably led to Major Championship invitations. His strong play also enabled him to qualify for some Opens too. After something of an apprenticeship in 1976 (Royal Birkdale) and 1977 (Turnberry, where he was paired with Jack Nicklaus and Gary Player) he achieved low amateur status at The Open Championship in both 1978 (St. Andrews, 39th) and 1979 (Royal Lytham St. Annes, T17th with Lee Trevino). He also qualified for the 1984 Open at St. Andrews, making the cut for the third time but having to withdrawal due to ill health at the start of round 3. McEvoy also played in three Masters. In 1978, paired with Tom Watson to start with, he became just the second GB&I amateur to make the cut at The Masters (after Joe Carr in 1967). He finished 53rd after rounds of 73, 75, 77 and 77, last of those that made the cut. He perhaps surprisingly remains the last GB&I amateur to make the cut at The Masters. With the Augusta course becoming longer and tougher in recent years this GB&I record may well remain intact for a few more years to come. In his other two appearances he missed the cut; in 1979 paired with Jack Nicklaus he shot 79, 79 missing out by 13-shots and in 1980 paired with Sam Snead he scored 79,76 missing out by 9-shots. Of course prior to the 1990s amateur golf was in a completely different place to where it is now. Golfers received no individual financial support from either their National Unions or the R&A. Having to personally fund ones living and golfing expenses whilst maintaining a competitive game was clearly no mean achievement. 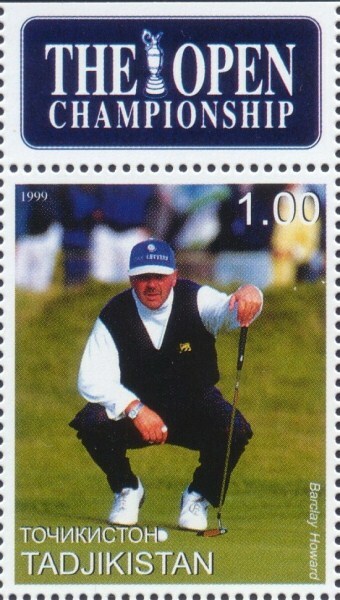 Peter McEvoy is England’s second most capped amateur golfer, competing in 153 matches between 1976 and 1992. Gary Wolstenholme achieved an astonishing 218 caps whilst Sir Michael Bonallack made 131 appearances for their shared country. He played in the Home Internationals of 1976-77-78-(79 not held)-80-81-83-84-85-86-87-88-89-91. England won in 1977-78-80-84-85-88-89. He went on to captain the team between 1994 and 1997, winning on each occasion. He holds the record for the highest win ratio (67.3%) of any British amateur golfer, playing 153 matches and winning 103 of them – he halved 16 and lost just 34 of the remaining ones. He amazingly lost just once in his first 30 singles matches. He met his first wife Dee at the 1978 Masters in Augusta and they married in the following December. They divorced in 1993 having had two boys, Cameron and Richard. His waning powers, the fact many of his original peers had moved on and the inevitable stress of the break-up led to Peter stepping back from top-level amateur competition in 1992. He met Helen, a recent divorcee herself with a daughter, Mary, shortly afterwards and eventually re-married in 1995. Following his Amateur Championship victories his club, Copt Heath, invited Peter to suggest a way in which they could commemorate his achievements. He suggested a 72 hole competition – to be played over two days – for Under 18 junior boy golfers, to be held annually at Copt Heath. Starting in 1981, The Peter McEvoy Trophy, has become the traditional curtain raiser to the boy’s golf season and is now viewed as one of the “must enter” junior major competitions. Past winners include Peter Baker (1983), Lee Westwood (1991), Brian Davis (1992), Steve Webster (1993) and Justin Rose (1998). The 35th Peter McEvoy Trophy takes place on 15th – 16th April 2015 with all of this year’s contestants having a scratch or better handicap. 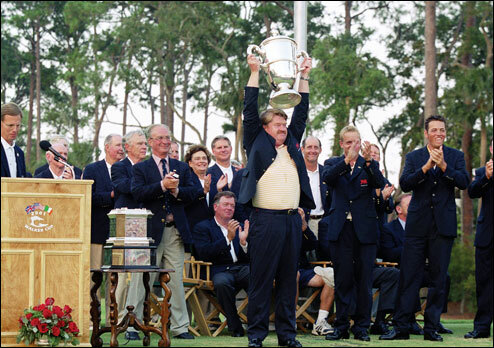 Peter subsequently enjoyed huge success as a Team Captain, leading GB&I to famous Walker Cup wins at Nairn (1999) and Sea Island, Georgia (2001). Both victories came by a score of 15-9 and were the first time GB&I had recorded consecutive wins in the event. He famously engaged Saatchi & Saatchi to produce a video ahead of the 1999 match to motivate his team and in 2001 handed out each player’s sweater in the team room, re-enforcing each member’s playing record in front of them all. He also captained GB&I to victory in the 1998 Eisenhower Trophy in Santiago, Chile. He is the only person to win the individual event as a player, the team event as a player, and the team event as a captain. He also captained again in 2000, and GB&I finished in second place. In 2002, when the home nations started to compete individually he captained the first England team. In 2002, McEvoy was named Chairman of the R&A Selection Committee, responsible for the selection of the GB&I teams competing in various international events. Since 2008 he has been responsible for the GB&I Boys Team and manager of the Jacques Léglise Trophy team. He appears to enjoy this role, in many respects viewing junior golf as the only true amateur game remaining. Whilst a message few young players want to here he rightly continues to caution against juniors committing all of their energies to golf too soon, saying in an interview in Golf International magazine – for which he wrote a column for many years – in 2010: “the majority of the young golfers who (turn Pro) have no chance of making any money. They get to their mid-20s only to discover they are just not good enough at golf, they have no education and they get lost to the game. It’s a vicious circle: they become disenchanted with it all, so their golf suffers, and they suffer as individuals as well”. His view, based on years of experience, is that few really appreciate the huge gulf that exists between the elite amateur game and the professional ranks. He added more recently: “There’s not much room in the pro game for youngsters coming through. You’ve got to be exceptional”. The fact anyone can turn Pro rather than being selected or passing some qualification level appears to frustrate him as does the draconian rules applying to amateur status which only encourages players to make the move too early. Peter McEvoy has also been involved with golf course design and re-modelling for over 25 years, with his own company, Sporting Concepts (originally a management agency), and in collaboration with others (such as Craig Cooke, Ricky Willison and Bruce Weller). Amongst a number of projects, many in Ireland, he originally designed Fota Island, which has hosted the Irish Open, and notably built a short hickory course, Kingarrock GC, near St. Andrews, where appropriate clubs and balls are provided to players. He has personally been honoured by the The Association of Golf Writers on two occasions. In 1978 he won The Golf Writers’ Trophy, “awarded each year to the individual, born or resident in Europe, or the European team, who have made the most outstanding contribution to golf in the preceding 12 months”. In 2001 the same award was given to the victorious 2001 Walker Cup team which he captained. More recently in 2009 he received the prestigious Association of Golf Writers’ Award for his outstanding services to the game. 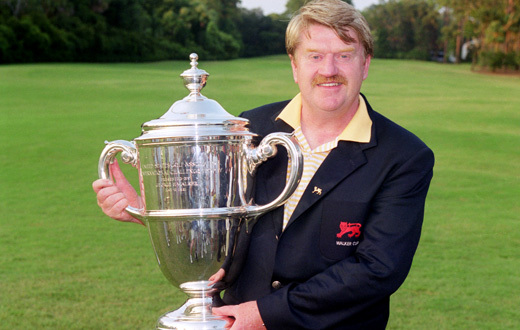 The English Golf Union (now England Golf) named Peter McEvoy the winner of their 1999 Gerald Micklem Award. This honour is given to those who have “made an outstanding contribution to further the interests of amateur golf in England”. Peter McEvoy was also named an Officer of the Order of the British Empire (OBE) in the 2003 Queen’s New Year’s Honours List, for “services to golf”. In 2006 Peter McEvoy published his excellent and somewhat self deprecating autobiography ‘For Love or Money’ (HarperSport). The book was written with the assistance of Sunday Telegraph journalist Mark Reason and is well worth a read. It was rumoured that the R&A questioned his amateur status following its publication but in the end nothing appears to have come of this. In February 2008, McEvoy helped devise and launch PowerPlay Golf alongside David Piggins, a shortened version of golf in a bid to create golf’s version of Twenty20 cricket. The format was simple: nine holes with two flags on each green, one hard (Black) and one easy (White) with a modified stableford scoring system. Each player had to take on three Black hole locations in their first 8-holes with an extra one available on the final hole. Despite appearing to tick all of the boxes in terms of fun and speed of play – matters which have taken on greater importance in recent years as golf participation in the UK has fallen – the format failed to take off and is now rarely heard of or seen. Peter McEvoy clearly loves the game of golf and the amateur game in GB&I has been fortunate to have him as a leading figure. Golf has been at the centre of his life for 50 years and his contribution as an elite player, captain (perhaps the best golf captain, pro or amateur, ever), administrator, coach, course designer and journalist / writer is probably without parallel. Let’s hope he continues to support the GB&I amateur game for many more years to come where his knowledge and experience are clearly irreplaceable. On the anniversary of his birth I thought I should record the career of Ireland’s best ever amateur golfer, Joe Carr. 1) Joseph Benedict Carr was born on 18th February 1922 in Inchicore, near Dublin. 2) He was the fifth of seven children born to George and Margaret Waters. When he was just 10 days old he was adopted by his maternal Aunt Kathleen and her husband James Carr. The Carr’s had recently been appointed steward and stewardess of Portmarnock GC so Joe was brought up with practice facilities literally on his doorstep. 3) It was not possible for him to join Portmarnock given his parent’s positions so he joined nearby Sutton Golf Club. Sutton was his golfing home for his entire career and he spent much of his life living in Suncroft House, overlooking the course’s 2nd green. He was an aggressive, big hitter and quickly developed into a fearless competitor. The Joe Carr Room at Sutton Golf Club today houses much of his memorabilia. 4) He won three British Amateur Championships in 1953, ’58 and ’60. He was also runner-up to Michael Bonallack in 1968. He competed in 26 Amateurs in total playing 119 matches. He won 96 and lost 23 of these giving him a superb 81% win rate. He was determined to win at St. Andrews in 1958 – “With all the practice shots I hit by way of preparation for St Andrews, I almost wore through the blades of my eight and nine irons,” he recalled. He later estimated that he had hit 47,000 shots in preparation for that championship. 5) He was prolific in Irish amateur golf despite strong competition at the time, winning six Irish Amateur Close Championships (1954, ’57, ’63, ’64, ’65 and ’67), four Irish Amateur Open Championships (1946, ’50, ’54 and ’56), 12 West of Ireland Championships (1946, ’47, ’48, ’51, ’53, ’54, ’56, ’58, ’60, ’61, ’62 and ’66), 12 East of Ireland Championships (1941, ’43, ’45, ’46, ’48, ’56, ’57, ’58, ’60, ’61, ’64, and ’69) and three South of Ireland Championships (1948, ’66 and ’69). 6) He also won the Gleneagles Saxone (1955), Golf Illustrated Golf Vase (1951), Berkshire Trophy (1959), Formby Hare (1962) and Antlers Royal Mid Surrey (1970) in Great Britain. 7) He played in a record (for both sides) 10 Walker Cup teams (1947, ’49, ’51, ’53, ’55, ’57, ’59, ’61, ’63 and ’67). He was a non-playing captain in 1965 and the playing captain in 1967. He played 20 matches but surprisingly has a relatively poor record; W5 L14 H1, perhaps worn down by the heavy responsibility he personally carried throughout this era. GB&I lost every match in which he competed but halved the 1965 contest in Baltimore. 8) The Eisenhower Trophy started in 1958 and Joe played in the first two at St. Andrews (’58) and Merion (’60). He was non-playing captain of the GB&I team in 1964 (Rome) and ’66 (Mexico City). 9) He also played for GB&I in the first St Andrews Trophy match against Europe in 1956, ’64 (playing captain) and 1968. He was non-playing captain of the team in 1966. All of these matches were won by GB&I. 10) He played international golf for Ireland for an astonishing 22 years, from 1947 to 1969 inclusive, earning 157 caps. He played 138 games, accumulated 166 points and had a 56.5% win percentage (W 78, H 10 and L 50). The European Team Championships started in 1959 and Joe represented Ireland in this competition in 1965, ’67 and ’69, the team winning the first two of these. As captain in later years he brought an organisation to the international team that had previously not been seen and that perhaps only he could deliver. 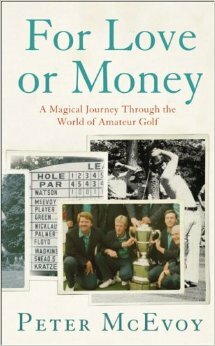 11) He was the leading amateur at the Open Championship, winning the Silver Medal, in both 1956 (73 77 79 77 / T36) and 1958 (70 74 77 77 / 37th). Surprisingly he only played in four Opens, often because the dates clashed with Irish amateur events he wished to enter. His first Open was at Royal Portrush in 1951 (75 76 73 76 / T24) and the last at St. Andrews in 1960 (72 73 67 73 / 8th), his best finish, albeit one beaten by Guy Wolstenholme (6th). 12) He was also the leading amateur at the Irish Open in 1946, ’48, ’50 and ’53. 13) Joe played in many professional events during his career. His best finish coming in the 1959 Dunlop Masters, played at Pormarnock, where he was second to Christy O’Connor Snr. 14) Joe was the first Irishman to play in the US Masters Tournament, competing in 1967, ’68 and ’69. In 1967 he was paired with the defending champion Jack Nicklaus. Carr made the cut but Jack missed it. In 1968 he played with Arnold Palmer; again he made the cut, finishing 52nd, whilst Arnie missed it. In 1969 he played with Sam Snead but this time both players failed to make the final two rounds. 15) Joe was made Captain of The Royal & Ancient Golf Club of St. Andrews in 1991-92, the first Irishman to be afforded this honour. 16) He won numerous awards during his lifetime, including the Association of Golf Writers’ Award (1953), the Bobby Jones Award (1961), for distinguished sportsmanship in golf, and the Walter Hagen Award (1967) for his contribution to Anglo-American goodwill. 17) He was inducted into the World Golf Hall of Fame posthumously in 2007. Jack Nicklaus gave the induction speech for his old friend. He was again the first Irishman to have this golfing honour bestowed upon them. 18) He ran a successful clothing business for many years. Joe was also a keen gambler and certainly enjoyed a wager on the course and elsewhere. This approach to life was also reflected in his approach to the game, where he often took on brave recovery shots. In 2002 Irish golf writer Dermot Gilleece wrote a biography on Joe Carr, ‘Breaking 80: The Life and Times of Joe Carr’. 19) His first wife Dorothy (‘Dor’), died in 1976. They had six children, Jody, Roddy, Sibeal, John, Gerry and Marty. He married for a second time to Mary. 20) Joe died on 3rd June 2004 near Portmarnock, aged 82. His golfing achievements and gentlemanly charm made him one of the most famous and popular Irishmen of the 21st Century. Claire Dowling (née Hourihane) was born on 18th February 1958 near Dublin in Ireland. She shares her birthday with another Irish amateur great, Joe Carr, who was born in 1922. Her father, Bill, was a keen golfer and member of Woodbrook GC in Bray, County Wexford, on the coast just south of Dublin. Claire joined Woodbrook and represented the Club throughout her career. By no means long she developed a game based on a rhythmical swing that consistently delivered sound ball striking and accuracy. “When I was playing reasonably well, I would regularly hit 16 or 17 greens in regulation. And I really loved my 4-wood. I had great confidence in hitting it 170-175 yards off the fairway.” she recently told Irish golf writer, Dermot Gilleece. In her book ‘The Women Golfer’ Belle Robertson described Claire as ‘a wonderfully tidy little golfer who should never be underestimated’. Her biggest individual win came in the 1986 British Ladies’ Open Stroke Play Championship at Blairgowrie, where famous Scottish golfer, Jessie Valentine, aged 71, provided lodgings and caddied for her. She also won the 1987 Spanish Ladies’ Amateur Championship. She twice fell in the semi-finals of the British Ladies’ Open Amateur Championships. Claire won the Irish Women’s Close Amateur Championship five times – in 1983, ’84, ’85, ’87 and ’91. She was only the second Irish golfer to win in the USA, following Christy O’Connor Snr at the 1977 World Seniors, when she won the 1983 South Atlantic Amateur tournament. In terms of the other leading English Women’s amateur events Claire also won the Hampshire Rose (1986), the Critchley Salver (1990) and the Bridget Jackson Bowl (1998). The 1986 victory was particularly memorable because it represented the first time a British or European golf team, male or female, had won in the United States. Disappointingly Claire was omitted from all four series of games by Captain Diane Bailey in 1988 but played 8 times in her other matches finishing with a creditable individual record of W3 L3 H2. She also played for GB&I in the Women’s World Amateur Team Championships for the Espirito Santo Trophy (1986 and ’90) and the Vagliano Trophy match against Europe (1981-83-85-87-89-91). Claire also represented Ireland in the Women’s European Team Championships (1981, ’83, ’85, ’87, ’89 and ’91) and in the Women’s Home International Matches (1979, ’80, ’81, ’82, ’83, ’84, ’85, ’86, ’87, ’88, ’89, ’91 and ’92). 1983 remains the last time Ireland won the Women’s European Team Championship. Partnering Phil Wickham Claire won the Irish Bi-Centennial Foursomes in 1981-82-84 and ’85. Claire captained Ireland in the Women’s European Team Championships in Finland in 1997 and at the Women’s Home International Matches in 1996 and 1997. She was due to captain the GB&I team at the World Amateur Golf Team Championship in Chile in November 1998. However, the Ladies Golf Union withdrew the travelling party due to safety concerns following the arrest in London a few weeks earlier of the former Chilean dictator General Augusto Pinochet. The Eisenhower Trophy event was played the following week in Chile with the Men’s GB&I team travelling and ultimately winning the competition. Claire subsequently captained GB&I against Europe in the Vagliano Trophy in July 1999. Europe won 13 – 11. Last but far from least Claire was non-playing captain of the 2000 Curtis Cup team. GB&I lost the match at Ganton GC 10 – 8. In June 2006 Claire retired from competitive golf – which at the time was County Golf with Warwickshire. However, she was persuaded to come out of retirement by her friend Tracy Atkin in 2012 to play in the Brenda King Foursomes, an England Golf run national competition for senior ladies. Tracy and Claire won the competition (Frilford Heath) and successfully defended it in both 2013 (Gog Magog) and 2014 (Minchinhampton). They decided to go out at the top and didn’t defend at Coxmoor in 2015. Claire moved to England in the late 1980s obtaining an administrative job at the famous Wentworth Club in Surrey. While there she met and married her husband Peter. They subsequently moved to Solihull in the West Midlands in 1996 and Claire joined Copt Heath. Interestingly her appointment as 2000 Curtis Cup captain coincided with Peter McEvoy’s captaincy of the Walker Cup Team in 1999 and 2001, thus making Copt Heath, probably the first and last club to provide the GB&I captain to both female and male amateur teams simultaneously. Claire was afforded Honorary Membership of Copt Heath in 2014. Following Peter’s retirement the couple moved to Budleigh Salterton in 2014 and Claire now plays at the local club, East Devon. In one of her first competitions at her new club she won the Ladies’ Club Championship by 8-shots. She currently plays off a handicap of 3. In 2012 Claire was appointed Chair of the Handicap and Course Rating Committee for England Golf. She also sat on England Golf’s Club Services Committee. The former role means she also sat on the The Council of National Golf Unions (CONGU) Board and Technical Committee up until 2016, with representatives from The R&A and the other Home Unions. In February 2015 Claire became one of the first women members of The Royal & Ancient Golf Club of St. Andrews (The R&A) – an Ordinary rather than an Honorary one. Within this first wave of 14 ladies there were just five women from Great Britain and Ireland (GB&I). These were HRH The Princess Royal, Dame Laura Davies, Lady Angela Bonallack, Belle Robertson MBE and Claire Dowling. For more information on the R&A’s Women Members click here: Women Members – The R&A and Augusta National GC. This was not her first involvement with the R&A though. As a representative of the Ladies Golf Union she became the first women to sit on the R&A’s Amateur Status Committee between 1997-2001. Claire qualified as a Level 3 Tournament Referee in 2011 and in September 2015 was invited to join the R&A’s Rules of Golf Committee. In September 2017 she was made Deputy Chair(wo)man of this Committee, also becoming a member of the Joint Rules Committee (with the USGA). As a result she played an important role in developing the new January 2019 rules. In recent years Claire has refereed at many events including The Open Championship, The Amateur Championship, the Ricoh Women’s British Open and the Arnold Palmer Cup. On 21st January 2016 she received the ‘Distinguished Services To Golf’ Award from the Irish Golf Writers’ Association (IGWA). Claire had previously been awarded the IWGA’s ‘Women’s Amateur Player Of The Year’ award in 1981, 1983, 1984, 1986 and 1987. Brian Keogh of Irish Golf Desk recorded the event at Castleknock Golf Club – click here to download and listen to Claire’s acceptance speech. On 28th January 2017 Claire was elected an Honorary Life Member of the Irish Ladies’ Golf Union Limited at their Annual General Meeting. D. Barclay Howard, the Scottish amateur golfer, was born in Glasgow on 27th January 1953. Whilst by no means an amateur great his roller coaster life on and off the course made him something of a legendary figure in Scottish and, to a degree, British golf. He was raised in Johnstone, a town 12 miles west of Glasgow in Renfrewshire. He went to school with Sky Sports golf presenter David Livingstone. Both played golf at their local club, Cochrane Castle Golf Club to which Barclay was associated all his life. He joined his father, David, there starting as a Junior in 1960. Indeed the family home was just a pitching wedge away from the course. He was made an honorary life member of Cochrane Castle in 1980. Howard tragically died from pneumonia on 19th May 2008, aged just 55. His health had not been good for many years due to chain smoking, his well publicised alcoholism and the legacy of contracting leukaemia when he was 44. The latter illness afflicted him just six weeks after probably his finest golfing moment, winning the Silver Medal at the 1997 Open. He started to feel unwell at that year’s Walker Cup and later in 1997 underwent both a stem-cell operation and a course of chemotherapy to aid his recovery. His weight dropped from 14st to 9st 6lb. It took around 3 years for him to fully recover and return to the golf course; it was another two before he had the strength to enjoy his golf again. He first contracted pneumonia in 2006 and already weakened by the cancer never really recovered from it. His first competitive golf tournament for this ‘natural’ came as a 13-year-old when he played in the 1966 Scottish Boys Championship at North Berwick. In his younger days he also lost the final of the 1969 West of Scotland Boys Championship 3 & 2 to Sam Torrance. Torrance later recalled the two things that first struck him about Howard: “his unmistakeable golfing talent and his engaging personality. He was good fun to be around”. His game continued to develop and was sufficiently good for him to be selected for the Great Britain & Ireland (GB&I) Youths Team that played Europe in 1971. Howard joined Clydesdale Bank straight from school in 1971. While there he met and married Sandra in 1972. He was just 19 and the marriage, triggered by the impending birth of a daughter, Linda (b. 1972), almost certainly came too soon for both of them. The family struggled to make ends meet and Barclay ended up moving to Rolls Royce in 1973, where he worked at their Hillington factory. He also started to drive an ice cream van in the weekday evenings to bring in more money. A second daughter, Lorraine (b. 1976) followed which only added to the personal and financial pressures. The couple inevitably split up in 1978 and sadly Barclay lost touch with all three of them. With these work and family responsibilities any thought of turning Pro at an early age seems to have simply past him by. Following his divorce, and now with a little more time on his hands, Howard started to drink more and it became clear to his friends that he was becoming an alcoholic. With the benefit of hindsight Barclay later timed his drinking demise to 1980. Despite this he remarried another local girl, Alison, in 1981. With Barclay’s addiction now reaching something of a peak she showed huge patience in staying with him until 1985. As he said himself: “I was a truly awful husband. From the age of 18 to 38 my life was a mess. I was a lost cause for a while”. In 1979 he was called up for Scotland’s Mens team for the first time, playing against England. Despite his drinking he still managed to perform on the course and continued to be selected for his country and GB&I in the early 1980s. However, his alcoholism and all too frequent drunken and abusive behaviour – frequently whilst on team duty – led to him being excluded from international competition in 1984. At the time he tended to pack lager and vodka in his bag before his balls and tees, needing a regular drink during a round to steady his on-course nerves. Having lost most of his friends he was eventually persuaded in the summer of 1991 to join Alcoholics Anonymous (AA). A decision almost certainly triggered by him receiving a 12 month ban from Cochrane Castle in June of that year and a handicap suspension (thus preventing him from playing in any competitions). He had not helped himself by turning up to his disciplinary meeting with the Club’s Committee drunk. He thankfully worked things out and eventually overcame the ‘disease’. He hardly drunk at all in the following years and completely stopped in 1997. A reformed character he started up a new relationship with Letitia, the daughter, of one of his AA sponsors, Davie Muir. This also gave him more conviction in the new path he was treading and he soon married Tish in April 1992, who was already pregnant with their daughter Laura-Jane (b. August 1992). It weighed heavily on the reformed Barclay that Laura-Jane turned five and started school while he was in the States playing in the 1997 Walker Cup and US Amateur. He amazingly managed to keep his job at Rolls Royce throughout his personal turmoils – mainly by restricting his big drinking sessions to the weekend. During the winter of 1991/92, the final months of his enforced exile, he used the company gym to get himself fit, losing two and half stone in the process. Cochrane Castle got wind of his progress and eventually allowed him to return in April 1992, two months early. He shot a gross 68 in the April Medal and was off and running. He re-dedicated himself to the game and when he was made redundant in 1993, along with hundreds over other workers at his plant, he chose to commit himself fully to golf. Tish was happy as long as he didn’t start drinking again. Things went well and Barclay was re-selected for Scotland in 1993 and then for the GB&I St. Andrews Trophy team in 1994. During his subsequent years as a full time amateur he did some work in customer relations for club-maker John Letters. His status in the game in the 1990s and new found sobriety meant he was regularly picked for national team competitions again between 1993 and 1997. He played on the GB&I team in the Eisenhower Trophy in 1996 and in the St. Andrews Trophy twice, 1994 and 1996. Indeed in 1996 he was named Scottish Amateur Golfer Of The Year by the Scottish Golf Union. However, it was his Walker cup appearances that obviously meant the most to him, particularly as they came when he was 42 and 44, an exceptional age for the GB&I Team in the modern era. Howard played in the Walker Cup twice, winning in 1995 at Royal Porthcawl (P3 W0 H2 L1) and losing in 1997 at Quaker Ridge, New York (P3 W0 H0 L3). As can be seen in the photo below the 1995 GB&I team contained Padraig Harrington, David Howell and Stephen Gallacher and famously overcame a strong US team containing Tiger Woods. 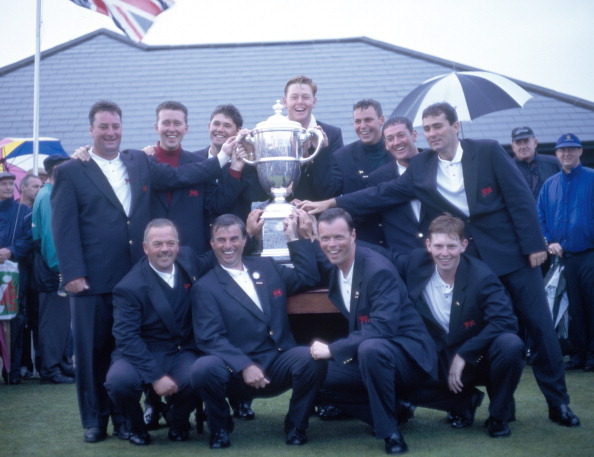 Barclay Howard (front left) with the successful 1995 Walker Cup Team. Without question Barclay’s most famous golfing achievement came at the 1997 Open at Royal Troon when he secured the low amateur Silver Medal. In the end he finished 60th on 293, tied with the great Jack Nicklaus. This was the first time a Scot had achieved the honour since Charlie Green in 1962. In round one Howard birdied four of his first six holes to take a share of the lead. He had a four foot birdie putt on the ‘Postage Stamp’ 8th to take the lead on his own but mistakenly looked at a leaderboard as he walked onto the green. Despite falling back into the pack he carried this early momentum throughout the Championship to secure the famous prize. His performance in The Open, and let’s remember he was 44, caught the public’s imagination and won him plaudits from around the world. Indeed he was invited to play in a number of professional tournaments on the back of his impressive Open showing. It even saw the Republic of Tadjikistan in Central Asia produce a commemorative stamp featuring him ! Howard made the news again shortly afterwards. After playing in the Walker Cup match he stayed in the States to play in the US Amateur at Cog Hill. Well rested he qualified for the match play stage after rounds of 70 and 71 – the only member of the Walker Cup team to do so. However, he was later disqualified for signing a wrong scorecard – due to a matter that he brought to the attention of the USGA. He had inadvertently been given a different make of ball by his caddie to play the 18th hole of his second round thus contravening the ‘one ball’ rule that existed in the US at the time. Having bogeyed his last hole he put the ball in his pocket and whilst finishing his lunch came across it and realized the error that had been made. Having not added the two penalty shots to his score for 18, with the benefit of hindsight he knew he should have, he quickly disqualified himself from the Championship. To his eternal credit Howard said of his decision at the time: “I would know. Say I was walking up to win this on the weekend, how could I live with myself. Yes, I’ve had my share of problems, but after 44 years, you’re going to start cheating? No! I could never do that”. He was hailed a hero by the US golfing press in the days that followed. Having returned to Scotland Barclay set about preparing for his supposed swan song – the 1997 Home Internationals – having announced his retirement from international play whilst at the Walker Cup the previous month. Unfortunately he never got to play. Illness beset him and he was soon diagnosed with the cancer he would fight for the rest of his life. In his 2001 autobiography, ‘Out Of The Rough: Booze, Birdies and a Driving Ambition’, written with the help of Jonathan Russell, he candidly discusses his career and battle with alcohol. It was typical of his generosity that he donated the royalties from the book to the leukaemia unit at Glasgow Royal Infirmary. In 2006, despite being frail, Howard was appointed Captain of the Scottish Youths team by the Scottish Golf Union, a role he relished. Far from an act of compassion he earned the role having captained Renfrewshire to the Scottish Area Team Championship in 2005. Upon his death Sir Michael Bonallack said “Barclay played golf the way he lived life. He was a great fighter, someone who wouldn’t give up. He will be sorely missed”. With the 2016 Open Championship again staged at Royal Troon the opportunity arose for a number of tributes to be paid to Barclay. Jimmy Roberts did a great job for NBC Channel. Jimmy Roberts looks into the life of Barclay Howard for NBC and the Golf Channel. In a life and golfing career of real extremes Barclay Howard is a golfer and man we should all remember and can no doubt learn from when we face our own adversities. What a comeback story. Yes he made some poor decisions and missed some opportunities but who hasn’t. His tenacity served him well on the course and in dealing with his numerous health issues, whilst his honesty and generosity were a credit to himself and the game he loved. The Zach Murray secret is well and truly out now. 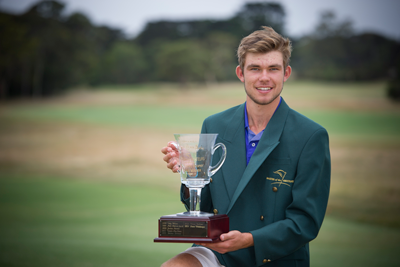 Earlier today Zach won the Australian Master of the Amateurs (AMOTA) Championship held on the West Course of Royal Melbourne GC. Rounds of 69-69-67-71 were good enough for a 276 total and a record breaking 12-under par total. Equally impressive is the fact he became the youngest winner in the event’s 18-year history; he is currently 17, turning 18 in March. Zach Murray with his AMOTA Green Jacket and Trophy (AMOTA website). Click here to see the final AMOTA results including good performances from England’s Paul Howard (T5) and Nick Marsh (T16). Zach comes from Wodonga in Victoria which is about 200 miles north-east of Melbourne. With the benefit of hindsight he has been a coming man for a while. I / We just haven’t seen him, perhaps blinded by the lights attaching to his Victorian team mate and younger friend, Ryan Ruffels (17 on 29th April 2015). With the benefit of hindsight matters are much clearer. He has been winning events since he was 13 and with the support of his Dad Craig has been travelling in Australia and last year in the UK and USA to hone his game and gain more experience. The plan seems to be working; his confidence is growing with the knowledge he belongs at the elite level. In 2013 he won the Aaron Baddeley Junior Aussie Final, the Arron Baddeley International Junior (in China) and finally the Victoria Match Amateur. 2014 saw lots of good results but no victories, most notably his play in the Australian Amateur (QFs), Australian Boys (4th) and the US Junior Amateur (16’s). He came across to the UK in early August and whilst he reached the semi-finals of the St. Andrews Boys’ Open (losing in the SF’s to eventual winner Cameron Franssen) he missed the cut at the Boys Amateur Championship after two rounds of 79 at Prestwick and Dundonald links. 2014 looks like being a year of consolidation in his progression but with the early season AMOTA win under his belt the world is now his oyster as 2015 unfolds. A top 100 SPWAR ranking and exemptions to hand for some of the big international amateur events mean that the opportunity is there for him to motor on up into the Top 50 where I am sure he really wants to be. Zach is clearly an outstanding golfer but what appears to set him apart from many of his peers is his consistency, course management and temperament. It is certainly good to hear that he plays the game with a smile on his face. With Year 12 studies at Wodonga Catholic College this year it will be interesting to see what Zach’s 2015 (restricted) playing schedule will be. All being well his final exams won’t prevent him from coming to Carnoustie and Panmure in June for our Amateur Championship before going on to America for the US Amateur at Olympia Fields CC. Fort Minor’s song lyric says: “10% Luck, 20% Skill, 15% Concentrated Power of Will, 5% Pleasure, 50% Pain and 100% reason to remember the name”. I am not sure about the percentages with regard to his golf but I am increasingly confident Zach Murray is a name we are going to remember. Now he’s well and truly on the radar let’s see how much game he really he has got. Good luck to him in the coming years.